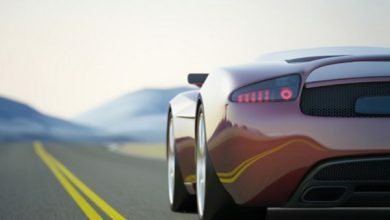 HARMAN presents Ignite 3.0 at Geneva Motorshow 2019. 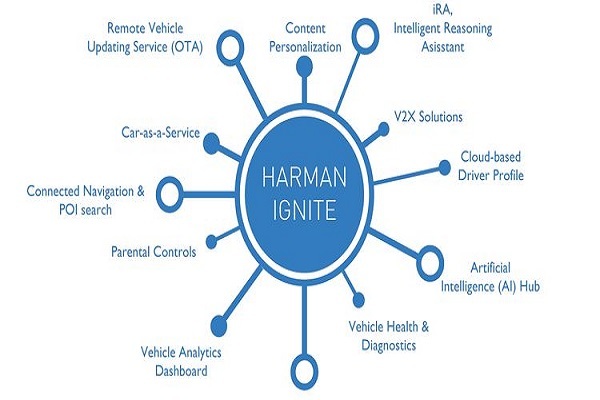 HARMAN has launched the Ignite 3.0, an automotive digital ecosystem for OEMs – a solution that brings the benefits of connected life into the vehicle. • HARMAN Ignite Marketplace: With the launch of HARMAN Ignite 3.0, OEMs can offer customers an ecosystem marketplace for user downloadable apps, cloud-enabled services and VPAs. The marketplace will provide support for third-party developers, allowing consumers to enjoy the apps and skills they prefer while discovering new services to enhance their driving experience. In addition, OEMs have the ability to showcase custom applications and create specific services for customer purchase in-vehicle. • IRA, HARMAN Ignite 3.0 Personal Assistant: IRA (Intelligent Reasoning Agent) is a new vehicle personal assistant that virtually coordinates any driver and vehicle needs seamlessly. By communicating with a variety of cloud content and services, IRA offers multi-modal voice and screen interfaces to bring unique and highly-tailored UX interactions into the vehicle. As a result, customers simply ask IRA to fulfill any type of personal assistant command, and IRA liaises with the appropriate provider to execute. For example, if a consumer needs to purchase an item from Amazon, IRA will relay the command to Alexa. If a driver wants the kitchen lights turned on as they pull in the driveway, IRA will command Google Assistant to fulfil the request. This functionality allows drivers to bring their connected life into their vehicle in a way that is completely seamless and efficient. • Connected Navigation: As consumers face increasing options for navigation, from a traditional map provider to more socially-driven directions, HARMAN Ignite 3.0 offers a swappable online POI search to help users find the best destination for their route. HARMAN Ignite 3.0’s connected navigation delivers a far superior in-vehicle system that closely mirrors those consumers are accustomed to on mobile and embeds connectivity benefits – like access to meta-data such as reviews and ratings – in a way that is seamless and makes discovering a destination easier and more exciting than ever before. The Ignite 3.0 also comes pre-integrated with Samsung SmartThings support. This enables the ability to control, in a smart and secure manner, connected smart devices, such as your home security system, doorbell, garage door or thermostat right within the vehicle. The benefits of this integration for consumers will continue to grow as more connected devices are added in to the SmartThings platform.